Diesel-electric motors reverse their traction motors to stop, which is an example of dynamic breaking. The traction motors on a diesel electric locomotive can be reversed to facilitate breaking, however a train with a full consist still takes some distance to stop. Dynamic braking is a method of braking a locomotive where the electric traction motors in the diesel-electric locomotive are reversed, effectively turning the motors into generators. This type of braking can be classified as one of two types of dynamic braking: rheo-static or regenerative braking. Rheo-static braking converts the braking energy into heat in the diesel electric locomotive, while regenerative braking returns the electrical power back into the electrical grid, as in the case of an electric locomotive. Another form of dynamic braking is known as blended braking, where the electric motors are used in conjunction with the air-brake system. Unknown to many people is that a diesel electric locomotive is not powered directly by the huge diesel engine it is equipped with. 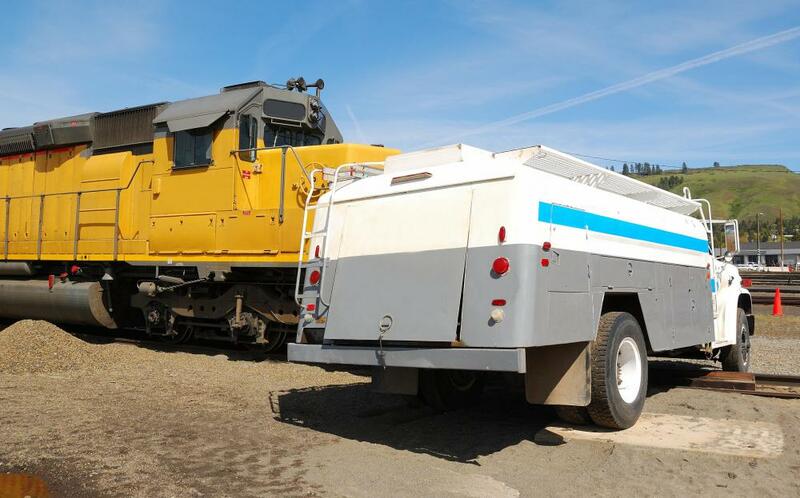 The primary task of the diesel is to turn a generator, which supplies power to large, electric motors mounted between the locomotive's drive wheels. 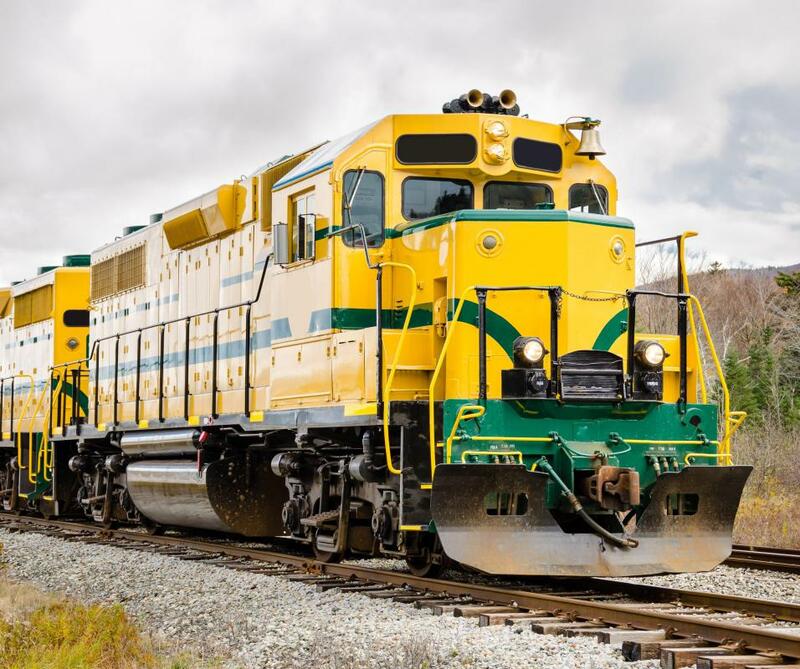 These motors, known as traction motors, not only provide the incredible power to drive the locomotive and pull the train up steep grades, they can also be used for dynamic braking. This can provide as much as 70 percent of a locomotive's braking force, however, it is usually less effective at slow speeds. During dynamic braking applications, the traction motors have the wiring switched to convert the motors into generators. As the locomotive wheels turn the now-generators, torque is delivered in the opposite direction than the motors were pulling. This dynamic braking force is converted into heat force through the use of a large bank of resistors mounted on top of the locomotive. Large cooling fans pull fresh air through the bank of resistors to manage the temperature. On-board computer systems can detect a dynamic braking overload as a heat increase and switch the dynamic brake system off, at which time the locomotive operates on an air-brake-only system. On a regenerative system, electrical generation from the braking system is returned into the electrical grid in the case of electric locomotives, and into large battery storage units on specially-equipped yard locomotives. In the case of an electric locomotive, if the energy supply grid is unable to accept the electric output of the dynamic braking, the system automatically switches over to a rheo-static system where the energy is converted into heat. Dynamic braking alone is not capable of stopping a train, and it greatly diminishes below 10 to 12 mph (16-19 km/h), requiring the air-braking system to always augment the dynamic braking system. What Is an Electronic Speed Control? What Is a Force-Sensing Resistor? What Is a Screwdriver Antenna? What does It Mean to Understeer? @Charred - I doubt it. I think that if the car wheels spun around in reverse, it might create a skidding action, which is not what you want in a car when you’re trying to brake. I think that the anti lock braking system that is equipped in many cars is a better mechanism for slowing the car down. The dynamic braking system of the locomotive seems ideally suited for the locomotive, because it requires the diesel engine and cooling fans to make the system work. The whole setup seems appropriate for a massive locomotive trying to slow down and expending a ton of heat in the process, but it would be total overkill for an automobile in my opinion. I wonder if the concept of dynamic braking can be applied to automobiles in principle, at least loosely speaking? Could the car be retooled somehow to reverse the direction of the wheels, performing a better job of slowing the car down?